Smart software makes your life easier; it allows you to spend less time and energy doing dull, routine tasks and leaving you more time for creative work and self-realization. The LignUp software turns toil into pleasure and simplifies your work that is why we call it extraordinary. Experiment with the LignUp products and you'll feel that this smart software greatly improves the productivity of inspired people. 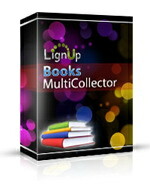 MultiCollector is a Universal solution for any collectibles. 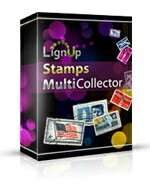 Magic solution for organizing stamps. All of our programs for 2 computers. Get our software with a discount! 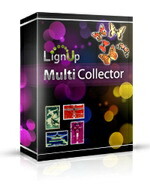 MultiCollector Mobile is a Universal solution for any collectibles. While thousands of developers waste time arguing about the benefits and shortcomings of the various operating systems, we create software that is perfectly compatible with the most popular platforms. You can use most of the LignUp products under Windows (32/64 bit) and Mac OS. In addition there are some solutions for Linux, iOS (iPhone, iPad) and Android OS. LignUp software improves its usability, function, and features with each new release. We look for new ideas in order to improve our products for our customers. We want our programs to meet your needs and work perfectly for you. To make our products fit your specialized needs, we take your suggestions and use them to fine-tune our products to create powerful programs that are both versatile and user friendly. We appreciate and value your experience. We carefully consider your opinions and do our best (and even more) to comply with your requests. If our software lacks an important, special function you desire, just contact us. We'll try to find a proper solution and implement it in future releases.